Dedicated to the life and work of one of the city's most celebrated authors, Franz Kafka Muzeum contains a large collection of Kafka's private letters and photographs. Although Kafka wrote in German, the city of Prague remained the heart of his personal and professional world. The museum explores the relationship between the city and the writer, providing a glimpse into Kafka's universe of literary characters tortured by personal alienation, physical brutality, and cold-hearted bureaucracy. Take a look at the displays featuring first editions of Kafka's major works, as well as his personal diaries, drawings, and manuscripts. Pick up Kafka's complete works at the on-site shop. 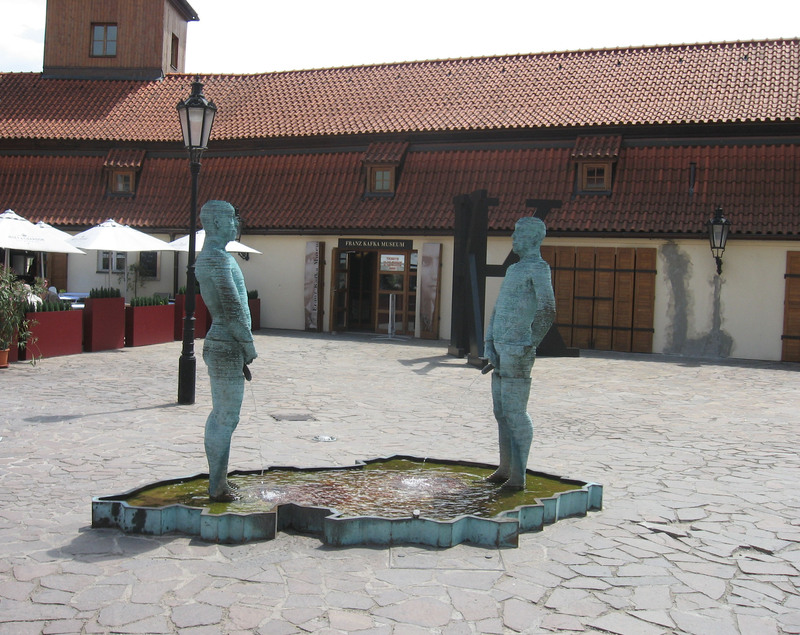 Put Franz Kafka Muzeum into our Prague day trip planning tool to see other points of interest to visit during your vacation in Prague. If you are a fan of Kafka (or even just a bit curious) this small, but well presented collection of items is well worth a short side trip from the well worn Charles Bridge to Castle route. You will learn more about Kalfa's family history, the changing environment that he grew up and worked in as well as the many great minds that he worked with. The bookshop has a good selection of his works in many different languages (except for English). Like Kafka, the museum is a mix of darkness, intrigue and disturbing perspective. The exhibit is experiential and invites the spectator to traverse details of Kafka's life, including media points that feel very much like a twisted modern art exhibit. Ultimately, I felt it was worthwhile and taught me more about the roots that shaped Kafka's introverted world and writing. For the literature genius, the lay man reader, the one who has stumbled across Kafka... this place sets a good context of the time and place that Franz lived and wrote , his life, his journey and his challenges in Prague. Must visit when in this beautiful city. Every day, we help thousands of travelers plan great vacations. Here are some tips on how to use your Listing Page to attract more travelers to your business - Franz Kafka Muzeum. 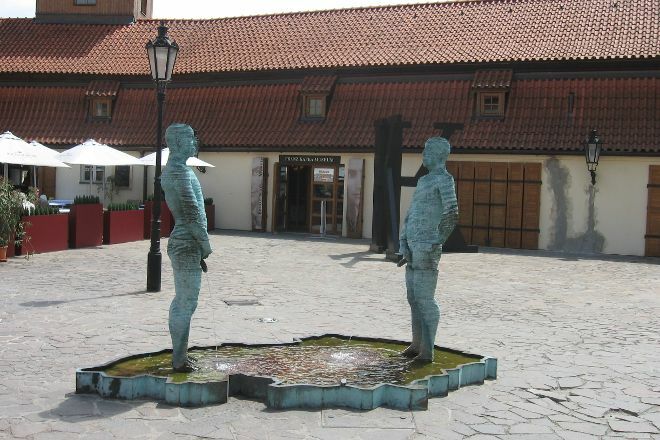 Promote your permanent link - https://www.inspirock.com/czech-republic/prague/franz-kafka-muzeum-a525786041 - on your website, your blog, and social media. When a traveler builds a plan from this page, the itinerary automatically includes Franz Kafka Muzeum. This is a great way for travelers looking for a great vacation in your city or country to also experience Franz Kafka Muzeum. Promoting your link also lets your audience know that you are featured on a rapidly growing travel site. In addition, the more this page is used, the more we will promote Franz Kafka Muzeum to other Inspirock users. For best results, use the customized Trip Planning Widget for Franz Kafka Muzeum on your website. It has all the advantages mentioned above, plus users to your site can conveniently access it directly on your site. Visitors to your site will appreciate you offering them help with planning their vacation. Setting this up takes just a few minutes - Click here for instructions.